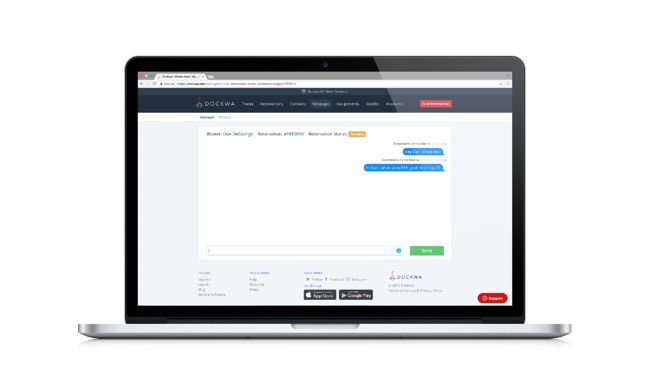 The Dockwa reservation Chat feature lets you send messages directly to your boater’s inbox and Dockwa app. 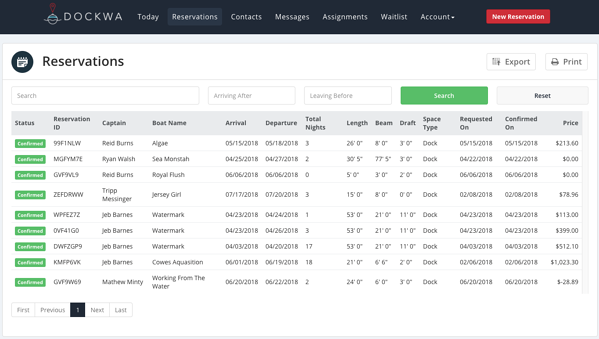 Whether you want to ask a boater questions about their reservation, provide approach instructions or give a dockage assignment, Chat is a simple tool that can better prepare you for boater arrivals and make your boaters feel even more welcome. 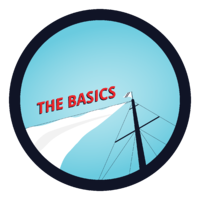 To chat a boater, head to your reservation portal. 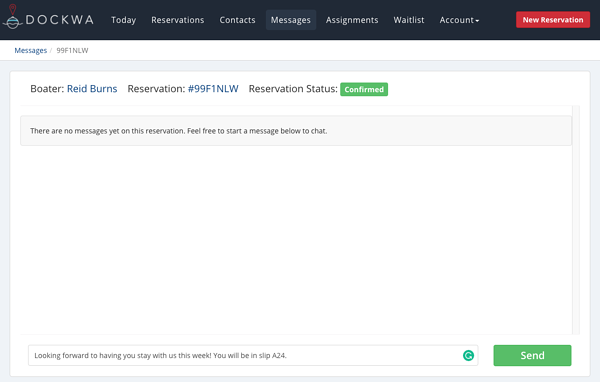 Click into a reservation to access the chat feature. 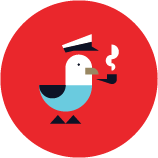 Click “Chat” to start a conversation with a boater. They will be notified via email and their Dockwa app. If they respond, you'll be notified via email and your Dockwa Dashboard. 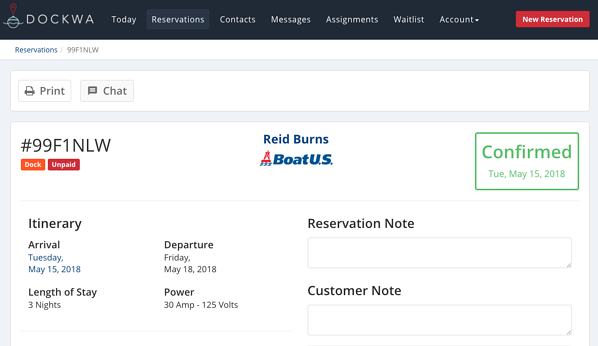 Boaters can also initiate a chat with you via their reservations. 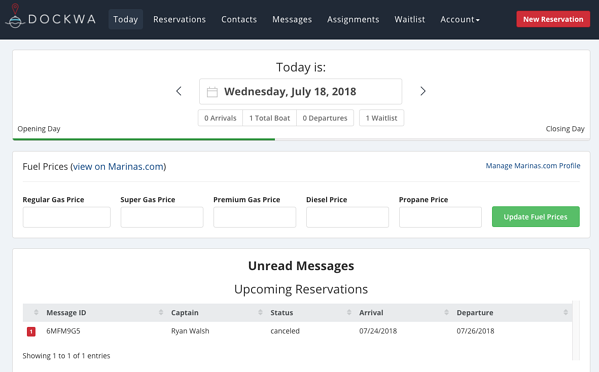 When a boater chats you, the message will appear on the “Today” page of your Dockwa Dashboard, under “Unread Messages.” Click into a message to view its contents - don’t forget to reply! "We love the chat feature! With our busy schedule at the yard, it’s convenient to chat with customers online to help them with any questions they may have. It completely reduces the amount of time spent on the phone, and very easy to use." You've checked almost all of the Reservation Ed boxes. It's time to tackle your final lesson: The Waitlist.